Although it is possible to get sober in 28 days, you cannot completely cure addiction in 28 days. This is why long term rehab centers offer extended addiction programs. According to the National Institute on Drug Abuse, time for treatment differs depending on several factors. It is important that the length of treatment match the addiction and the person. Many people do not recognize that there is a difference between getting sober and recovering from addiction. Addiction recovery is a lengthy process were achieving sobriety is usually just a matter of detoxing the body from the drug. A detox can be accomplished in 28 days for most drugs. This process involves the physical aspects of withdrawal. Unfortunately, this is not all there is to addiction treatment. It is easy to return to the drug addiction even though you are technically sober. Just detoxing and becoming sober does not treat the cause of addiction. Long term rehab centers offer individual counseling. Recovering from addiction is the process of treating both the cause of the addiction and the problems that the addiction causes. This takes quite a bit longer than just getting the drugs out of your system. Sometimes treating the cause of the addiction can take years. What is Long Term Rehab? 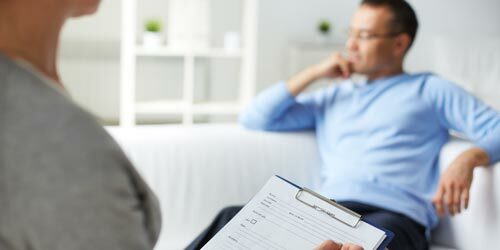 individual counseling – one on one therapy with a therapist to figure out the reasons for addiction and how to deal with the consequences of addiction. group counseling – this is group therapy where you can share in the experiences of others and they can share in yours. family counseling – learning how to deal with the problems that are created by the addiction with friends and family. recovery – this is a continuation of all learning therapies. Sometimes recovery includes learning relaxation and preventative techniques. All of these aspects combine to help a person make a more complete recovery. Sobriety is an excellent start to recovery but it is not the end of it. Most people need to understand and deal with the causes of their addiction. They also need to learn to deal with the stressors in their life without turning to drugs. Long term treatment teaches you that. Like anything it takes time to learn how to live without the addiction. Although in rare cases this can be accomplished in 28 days, most of the time it cannot. Long term treatment works well in addition to a 28 day program whether the 28 days is inpatient and long term treatment is outpatient or it is all outpatient. According to the National Institute on Drug Abuse, a combination of treatments works best to avoid relapse. By combining a 28 day program with long term treatment you achieve the best results. If you have any questions about the length of treatment or long term programs call us at 800-481-6320. In the past 10 years, teen drug abuse has seen significant increased and some minor decreases along the way. Unfortunately, the number of teens who are now using dangerous drugs is seeing an all-time high that has not been reached in the prior 20 years. Teens today aren’t just experimenting with pot or alcohol, today’s teen drug…. According to the Center for Substance Abuse Treatment,” Family therapy grew from a perceived need to bring to the therapy session respect and attention to each individual’s needs, interests, expressions, and worth.” These same interests can also be said about any other healthy relationship. In the throes of addiction, addicts often lose sight of the…. For those who struggle with drug addiction or alcohol addiction, relapse often becomes a fact of life. They rise up above the addiction only to be faced with the harsh reality of relapsing despite efforts to make positive change. Directors at many rehab centers report that it is not uncommon for them to admit patients…. Yoga is a healthful alternative treatment method that, according to the National Center for Complementary and Integrative Health, has been found to “maintain… health and well-being, improve physical fitness, relieve stress… enhance quality of life,” lower heart rate, lower blood pressure, and relieve anxiety, depression, and insomnia. In addition, it can also be a major…. Are Specialized Rehab Centers Better? When you’re looking to attend a rehab center for drug and alcohol treatment, finding the right one can make all the difference. But how do you know what rehab center will work best for you? Is specialized drug and alcohol treatment what you need? When it comes to rehab, anything that will make you more…. If you or a loved one are going through the struggles of drug addiction, this can be a very confusing and complicated time. It can be particularly severe if the addict is also facing a mental health issue as well, as the two together can present extra challenges and potential risks. What is Comorbidity? Comorbidity…. What Are the Residential Treatment Options for Dual Diagnosis? When dual diagnosis—the presence of an additional condition along with an addiction—is a factor in someone’s addiction, their treatment plan should take it into account. Residential treatment centers often modify their treatment plans in the case of dual diagnosis, which you should keep in mind as you call . If you have a dual diagnosis,….